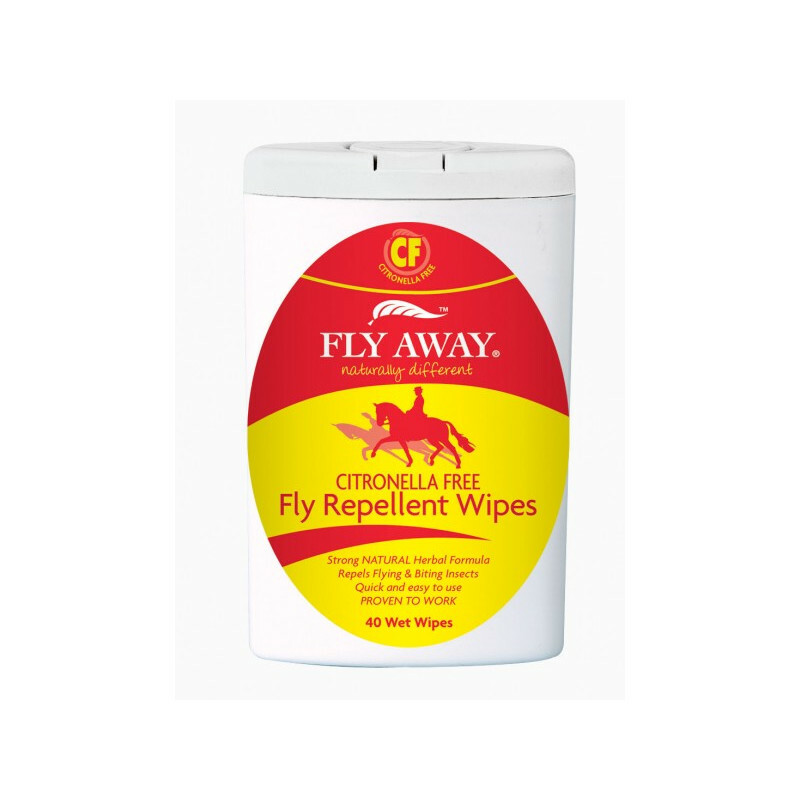 Below are some recent questions we've received regarding Fly Away Citronella Free Fly And Insect Repellent Wipes, including answers from our team. Can this be used on dogs? Can this product be used on dogs? If so, how often would i have to wipe it on her? This product should be safe to use on dogs, but dogs tend not to like the smell of these things (though citronella is much worse). It would be better to use a product which is actually meant for dogs. Mikki Tea Tree wipes might be better, or a conditioning shampoo. Dogs with clean healthy coats tend not to attract flies anyway.